Sprayplast 100 is a 2K spray cold-plastic material based on MMA (methyl methacrylate). This bicomponent material forms hard and very resistant films in a very short time by curing with the help of the liquid hardener Farbeplast FP-IL. 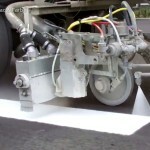 Sprayplast 100 is applied in a 100:2 system only with specialized road marking machines which are able to control automatically the dosage of the hardener. 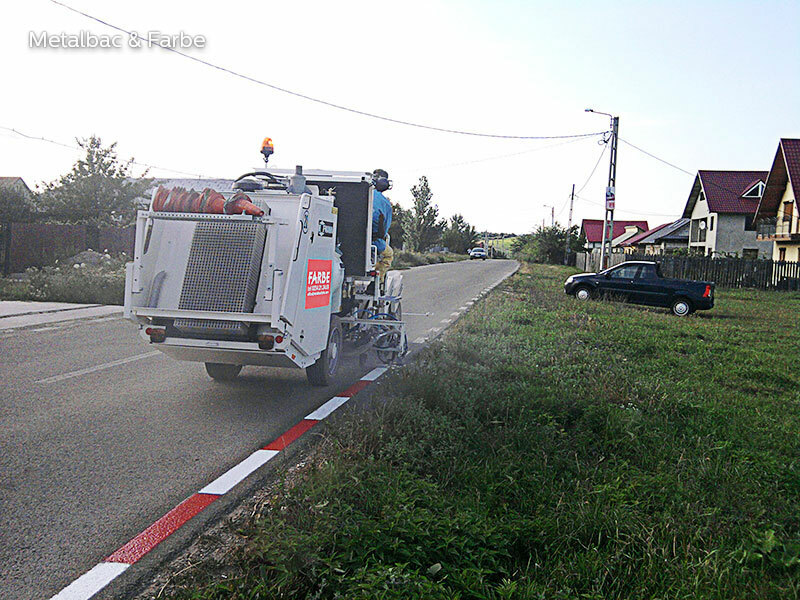 The 2K material Sprayplast 100 can be applied with special spraying equipment as longitudinal road markings or as transverse or diverse road markings such as: horizontal road marking signs, pedestrian crossings, bicycle lanes, parking spaces etc. 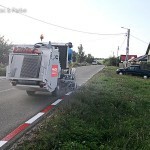 Due to the fact that Sprayplast 100 can be applied at a layer thickness of 200 up to 1000 µm, this material is ideal for refreshing road markings made with 2K extruder cold plastic. 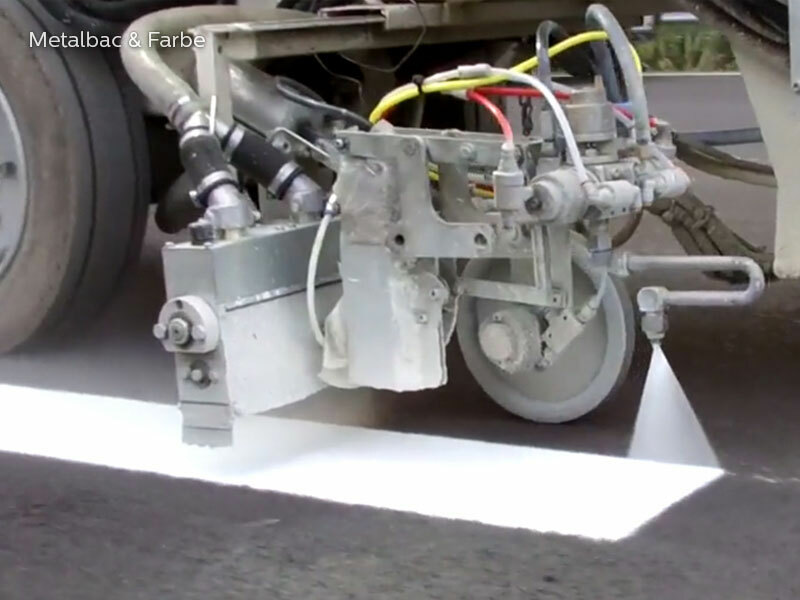 Thanks to superior durability comparing with solvent based or waterborne paints, Sprayplast 100 is recommended for application of longitudinal markings on asphalt surfaces, in heavy traffic areas, on all types of roads, including within cities. 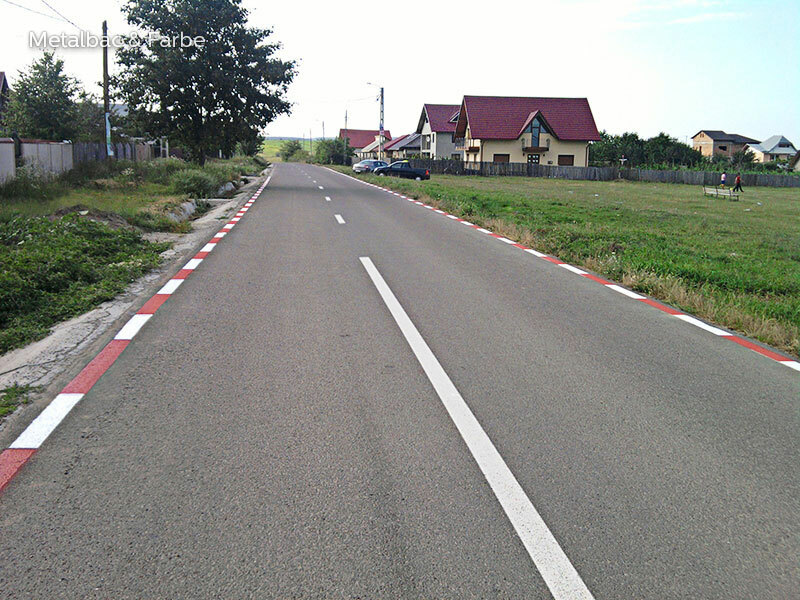 Products: Sprayplast 100 cold-plastic material, Farbeplast FP-IL liquid hardener, reflective glass beads, cleaning agent FD 200-9. 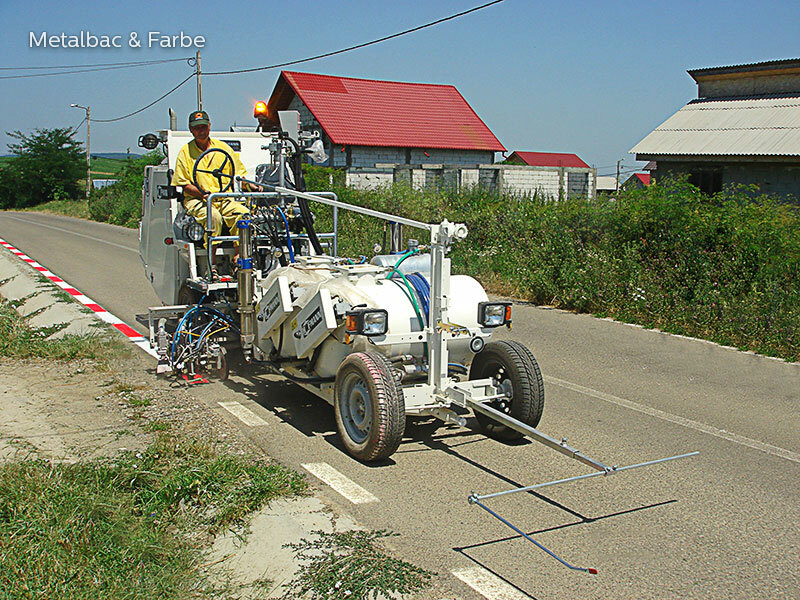 Note: FD 200-9 cleaning agent is used only for cleaning equipment and tools. 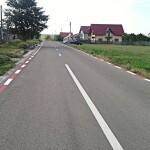 Do not dilute Sprayplast 100! 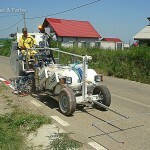 can be applied as Type II marking with the right mixture of big glass beads and anti-skid material.